Marking type: Private collection label. 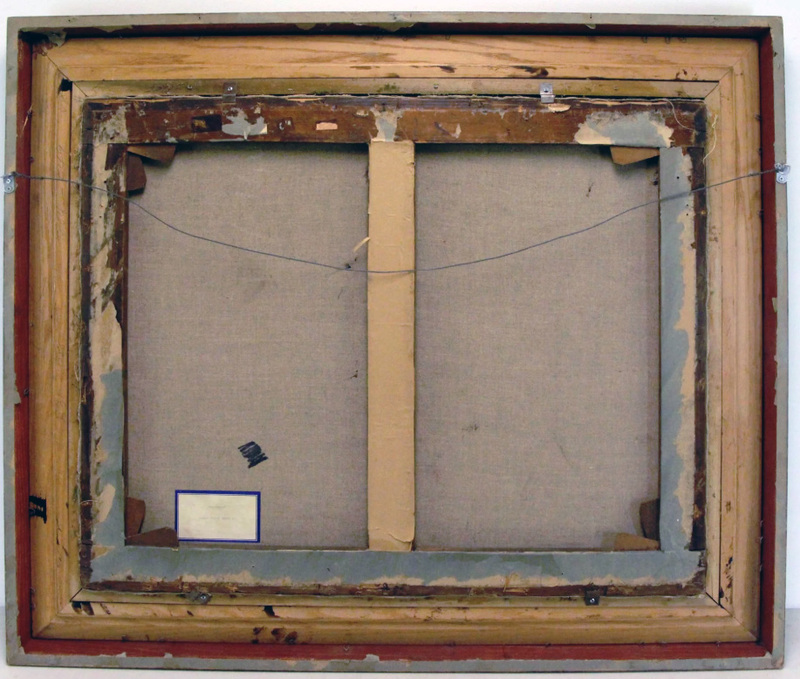 Location: Lower middle left canvas verso. 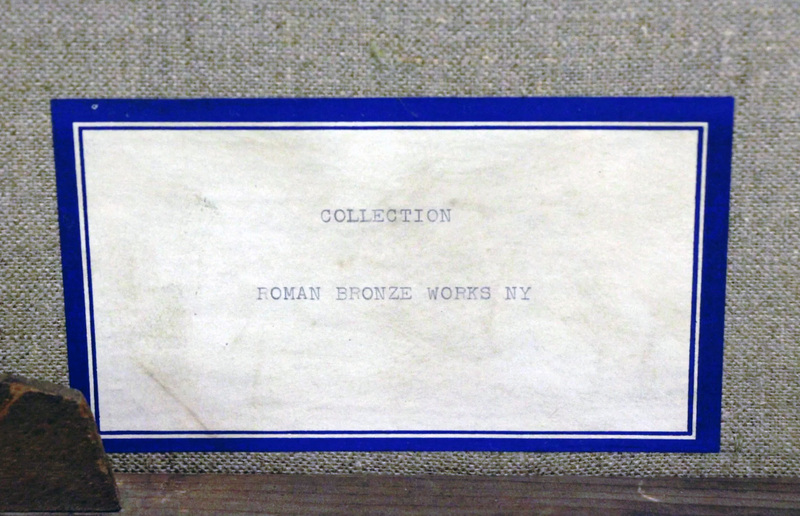 Text: ‘COLLECTION / ROMAN BRONZE WORKS NY’. 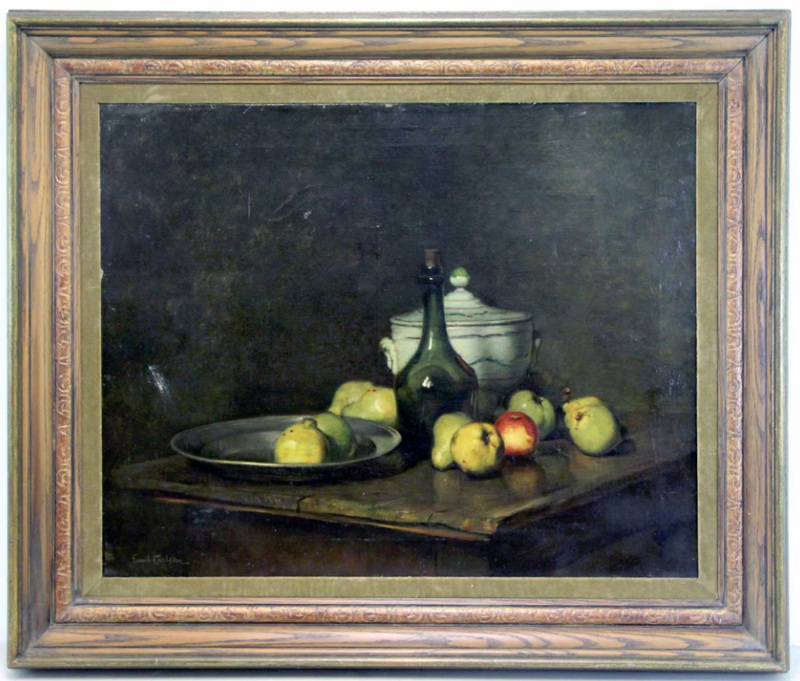 2019 Clarke Auctioneers Appraisers [1998- ], Larchmont, NY, “Fine art, jewelry, antique, midcentury & Asian auction”, April 7. – Clarke Auctioneers Appraisers [1998- ], Larchmont, NY, online auction catalog, “Fine art, jewelry, antique, midcentury & Asian auction”, April 7, 2019, lot #25, illustrated : color. – Condition: Old restoration. Scuff to center left. Relined. Craquelure. Scuffs to margins. Loss at upper center margin as of March 23, 2019.